Incorporating principles of adult learning theory in any training program is the foundation to ensuring a successful transfer of skills from the training program back to the workplace. Adult education focuses on the facilitator ensuring the participants are able to achieve sustained behavioral changes to improve in a particular area(s). For example, enabling adult participants in a negotiating training program to learn the skills and knowledge required to effectively conduct negotiations once they are back at work. This is most effectively done, in this example, through role playing where adults are able to practice negotiating tactics in a safe environment. Participants should be able to walk away from the negotiating training program with an understanding of how they would change the model they have learned to fit nearly any negotiating situation they encounter. As another example, a training class focused on improving presentation skills is best able to meet its objective by enabling participants to practice making presentations and being tape recorded so that they can see how they perform during presentations. Again, it should also provide participants with the ability to adjust how they present depending on the audience they are presenting to and the topic to be presented. Bloom’s Taxonomy was developed in 1956 by Benjamin Bloom and a team of education psychologists. Bloom’s Taxonomy refers to a classification of the various learning objectives that are set for participants in a training program. Bloom’s Taxonomy identifies six categories (levels of learning) from simple to complex within the Cognitive Domain. In this post we will focus on the Cognitive Domain and the six levels of learning that comprise that domain. It is important to remember that the first level, Knowledge (the most simple) must be mastered before the individual learning can move through the levels to eventually master the most difficult level, Evaluation. 1 Knowledge The individual is able to remember ideas, facts, and theories. No change in behavior occurs at Level 1 – it simply indicates the ability of the individual to remember information he/she was presented in the training. 2 Comprehension The individual can comprehend the meaning of the material presented and predict consequences or effects from it. No change in behavior occurs at Level 2 – the individual is able to describe their understanding of what is presented and discuss how the new material learned may or may not work in their own environment. 3 Application The individual can use the material he/she learned in new situations, applying concepts, principles, methods, and theories effectively. At level 3, the individual demonstrates his/her ability to apply the new material they learned in the form of a measurable activity. This is the start in a change in behavior. For example, conducting an effective negotiation session or conflict management via role plays. 4 Analysis The individual can break down the material learned into smaller elements or components so that its organizational structure is understood. At level 4, the individual demonstrates his/her ability to analyze a situation using the knowledge learned by applying it to a case study. The individual will use his/her newly learned skills to understand the situation of the case study, determine cause and effect, and develop a solution to the problem. The individual demonstrates his/her knowledge by taking a systematic approach to analyzing the situation and developing a solution based on the analysis. 5 Synthesis The individual can pull parts together to form a new whole – in this way the individual works with various elements to arrange and combine them to form a new structure. (Thinking “outside the box.”) At level 5, the individual demonstrates a further command of the knowledge/skills by using a case study. The individual will demonstrate an advanced capability by developing a creative, unique solution to the problem by applying what he/she has learned in a new and different way. 6 Evaluation The individual is accomplished at judging the value of material learned for a given purpose and those judgments are based on defined criteria. At level 6, the individual is able to take a multi-disciplinary assessment of a situation. He/she works from a defined set of criteria to make judgments about information presented in a case study, whether or not a solution is valid and the quality of a particular solution. At this level, the individual has mastered the new skill/knowledge. 1 – Knowledge The individual can recite back the specific model learned on how to manage conflict. 2 – Comprehension The individual is able to explain the specific model learned on how to manage conflict in his/her own words. 3 – Application The individual is able to apply the conflict model as learned in a role play situation. 4 – Analysis The individual is able to understand how the conflict model is developed and its individual components, and use that knowledge to role play a conflict situation. 5 – Synthesis The individual is able to use the components of the specific conflict model learned to create a personalized different conflict model that works more effectively in his/her situation, and apply that in a role play situation. 6 – Evaluation The individual is able to assess options and select the most effective conflict model (make changes to the conflict model) to utilize depending on a given conflict situation. He/she is able to assess a conflict situation to judge the best model to use for solving the conflict. The goal of the updated categories was to reflect a more active form of thinking and, by rearranging the categories (specifically, Evaluation and Synthesis), reflect a more accurate understanding of how adults learn. By using this information in development of your training programs, you are better able to create a program that is a true learning experience for the participants. A program that creates sustained behavioral changes and ensures the individual is able to apply what they are learning back on the job in a way that works for them and their particular circumstances. They will also be able to continue learning (self-learning) back on the job if they are provided the right skills to continuously develop their knowledge. 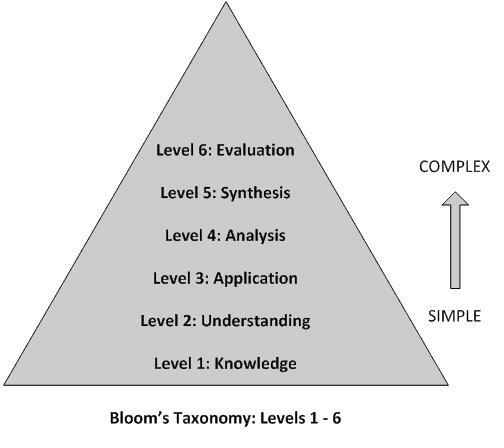 Bloom’s Taxonomy promotes a higher level of thinking (above and beyond memorizing facts) that enables the adult learner to be able to more effectively apply his/her new skills and knowledge back on the job in a manner that is suitable for both the individual and the organization’s way of doing business. How effective are your training programs? To what level of Bloom’s Taxonomy are you teaching skills and knowledge to your adult learners? Think about what changes you might make to your training programs to develop a higher level of learning for your participants. Please share your thoughts in the Comments field below. Thanks! Glad you found the information helpful, Hussain. hello gina …i studied lot about blooms taxonomy..but i want to know that how it will useful in business studies..im studying business management level 5..can u pls exp[lain how it will useful to me????????? Hello Gina, may I have your permission to use your post in a course I am developing? I would like to come to your site via a web tour in Blackboard and show participants your post. Hi Mansi – Use Bloom’s Taxonomy to help in designing and creating the content for the training program. 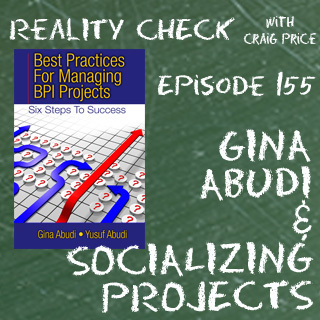 You would use a variety of activities, case studies, videos, readings, etc. in order to enable for learning at the various levels. The evaluation level would come at the end of the training program where you utilize a variety of activities (possibly tests, demonstrations, etc.) to evaluate the learning. For example, for level 3: application, I may have a participant in a class on problem solving use a problem solving model discussed to work through solving a problem scenario presented. This enables them to practice what they have learned (apply) their new skills. This is simplified I know but hopefully helps you understand it better. Hi Jose – You might try this resource: http://cft.vanderbilt.edu/teaching-guides/pedagogical/blooms-taxonomy/. Some books to help you design courses include: A Taxonomy for Learning, Teaching, and Assessing: A Revision of Bloom’s Taxonomy of Educational Objectives (Anderson, Krathwohl, et al); Adult Learners: Understanding and Instructing (Ripley, Ripley); and Planning Programs for Adult Learners: A Practical Guide (Caffarella, et al). Hi Gina, I teach negotiation at university and as a consultant in the private sector, the above article was really interesting, now I want to know more about how to design my courses at university and small ones at the profesional level using the Bloom´s taxonomies. Could you recommend me more readings, pdf, websites, etc. Hello Felicia – There are a number of books on critical thinking that may assist you: Critical Thinking: Tools to Take Charge of Your Personal and Professional Life (Paul and Elder); Critical Thinking: A Student’s Introduction (Bassham, Irwin, Nardone, Wallace); Critical Thinking Skills in Nursing: A Cognitive Skills Workbook (Lipe and Beasley). Good luck! I am a student in a masters online nurse education class. We are using Blooms application level in our teaching. I have only gotten to teaching my students comprehension and having trouble understanding the Blooms applying knowlege step. I am teaching blood pressure assessments to a group of adult learners some are ready to learn, and some come with this skill and do not show rediness to want to learn one added step an estimate step to the traditional steps. How can I promote critical thinking in this group? I would liken this more to “turning a page” in a book. There are no activities associated that would be defined as a high level of interaction. Unless the learner is making decisions (such as in a business simulation) and those decisions take them to different paths in the simluation. Here’s a new task I need some help with. I am showing learners a tour video on the features of a site (how to get about). It is interactive in the sense that unless you click on the arrow, the video does not proceed. I think this is “apply” factual knowledge or procedural knowledge “understand”? Thanks for your time! There are a variety of training methods available – on-line (self-paced or instructor-led), virtual classroom formats, face-to-face, self-study such as via books, case studies, etc. I would recommend you begin with what you are trying to train in (such as negotiation, written communications, etc.) and determine the most appropriate method based on the topic, the audience, etc. I hope this helps you. 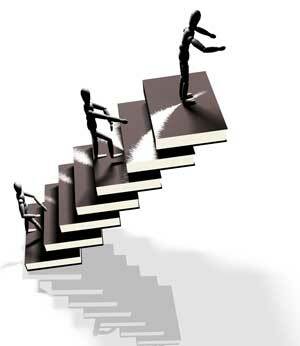 I’m not quite sure I understand the activity – but it seems that it may fall between Level 1 – 2. I assume they are researching to find a teaching model and then simply take the definition they find and post it to the glossary. You are not asking them to analyze its effectiveness, etc. As for Part B – how do you want them to rate the definitions – but effectiveness? Against a certain example? b) They should comment on their colleagues’ definitions and rate them. How do I classify them? Thank you for the info. It really helpful. Manage to understand it now. Cognitive learning is watching, listening, touching, experiencing. So – we learn that the cooktop is hot by touching it and getting burnt. We learn how to speak by listening to our parents. In the business world, we may shadow (watch) someone who is doing a job we will be doing to learn how to do it. Another example may be listening to someone who provides customer service support to learn how they handle a customer with a problem or sitting in on a negotiation session to learn how someone negotiates. Hope this helps! Bottom line – we are always learning cognitively. Can you give me more examples on bloom taxonomy study skill of cognitive on first level? On the knowledge category. I’m still blur with the explanation. You do want to link Blooms Taxonomy levels to the learning objectives and link the assessments to those learning objectives. You will choose your assessments based on the Blooms Taxonomy level you are trying to achieve by the learning objective. sowmya back again. I want to know what is your take on linking blooms taxonomy to learning objectives and assessment. I am a prof in an engineering university in India Does blooms taxonomy help in changing the assessment style to help reach learning objectives? If you look below in these comments, you’ll see that I responded to another individual with a link to resources on Bloom’s Taxonomy that will assist you with your study. Bloom’s Taxonomy is focused moreso on how an individual will learn the skills and gain new knowledge – from very basic (level 1) to more advanced/expert level (level 6). It doesn’t specifically focus on adult learning styles; however, understanding adult learning styles will enable the instructional design/curriculum developer to design activities to map to each of the levels of the Bloom’s Taxonomy to ensure an understanding of the concepts presented. I hope this helps; but feel free to reach out to me via my contact form or via LinkedIn as a phone conversation or more detailed email exchange may enable me to better respond to your question. Until this morning, I was not aware of Bloom’s Taxonomy. In your opinion, is this relevant to matching appropriate content with online adult learning styles? Please provide a bit more information about what you are looking for – maybe I can help. thank you gina thank you i need more of your help am interested in this subject. would you kindly give me your e mail id. Also, many University libraries will likely also have access to this information and that may be a good place to start. There are also some books available (just search on Amazon for Bloom’s Taxonomy) that may interest you. Excellent work done. I have been delivering lectures in Bloom’s taxonomy in my university. Would like to pursue some research on this. I’d like you to update me on the following information. Are there research papers on Blooms taxonomy applied to management subjects?.